We’re all headed to the New England Crime Bake tomorrow. Here are some of the books we’re planning to read by authors attending the conference. Tomorrow we’ll try to post live, and will do a report on Monday. Stay tuned! 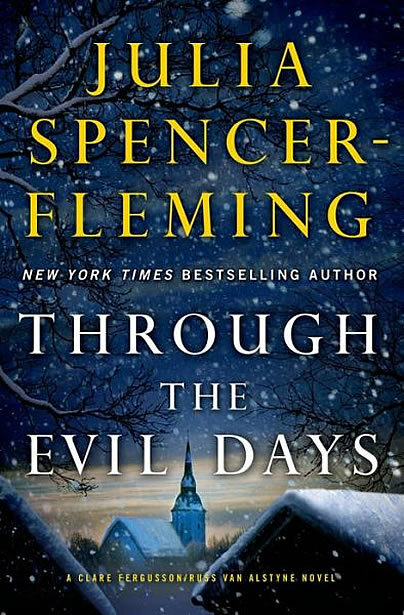 Edith: I plan to acquire, have signed, and read as soon as possible both Jessie’s Drizzled With Death, since I’m late on that one, and Julia Spencer-Fleming’s new Through The Evil Days. I love her series and can’t wait to dive in. Liz: Me too, Edith! I finished Drizzled With Death on a recent business trip and loved it – now I just need Jessie’s signature. Love Julia Spencer-Fleming and the Clare/Russ series also. And, I have Daniel Palmer’s Stolen in my to-be-read pile also. 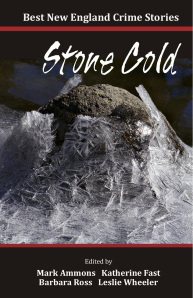 Sherry: I’m looking forward to reading the Best New England Crime Stories 2014: Stone Cold anthology by Level Best Books. It’s a book full of short stories set in New England. Perfect reading for those long winter nights! I am also looking forward to A Skeleton in the Family by Leigh Perry (aka Toni L.P. Kelner). Barb: I need two, too. Katherine Hall Page’s The Body in the Piazza and Linda Barnes The Perfect Ghost. I’ll also be reading Through the Evil Days. I love that series. Jessie: There are three that I am itching to acquire, complete with autographs: Lucy Burdette’s Topped Chef, Michael Nethercott’s The Seance Society and Hank Phillippi Ryan’s The Wrong Girl. It looks like a great season for reading! Julie: I am moderating a panel on YA mysteries, and really enjoyed reading the books. They included Peter Abraham’s Echo Falls series (Down the Rabbit Hole is the first one), Kate Burak’s Emily’s Dress and Other Missing Things, Beth Kanell’s Cold Midnight, and Kim Harrington’s The Dead and Buried. Next Live From Crime Bake! Thanks, Marcia! It’s a really great conference. Not too big, very friendly, and of course within driving distance for all of us, a big plus. You should come.